With the end of the year approaching and the cold season coming, Medallion would suggest some boots to spend winter with style. For this time of the year, we recommend that you wear a boots that will keep your feet warm. 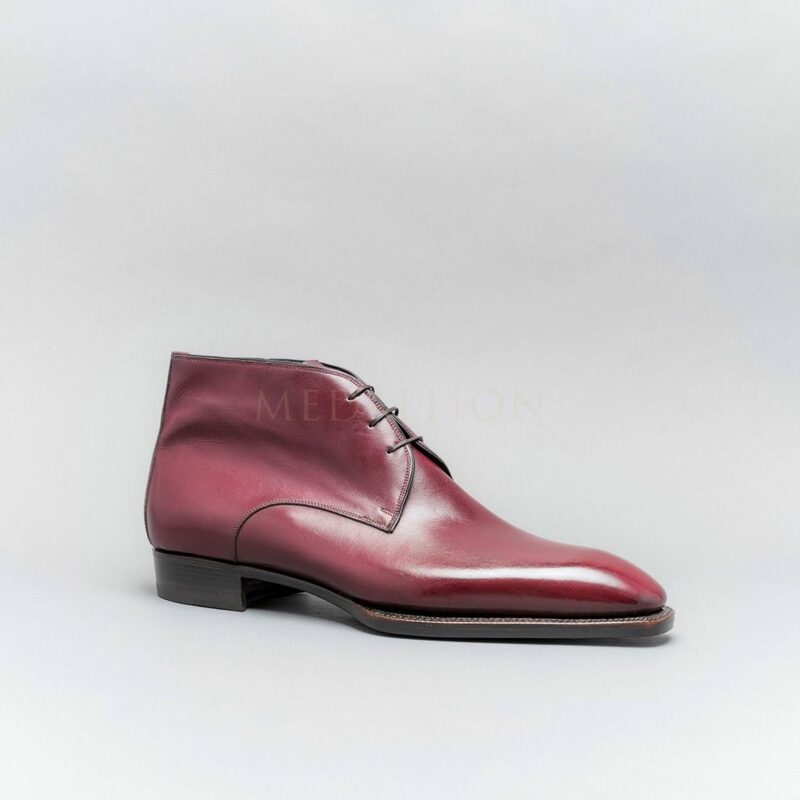 Among the many brands you could find at Medallion, we provide different styles of leather boots: from the classic Chelsea boots, or the Chukka boots, to the heavy Country boots, each having its own history, characteristics and work with different styles. Our selection for winter boots includes the models that will keep you warm for the cold season with style. 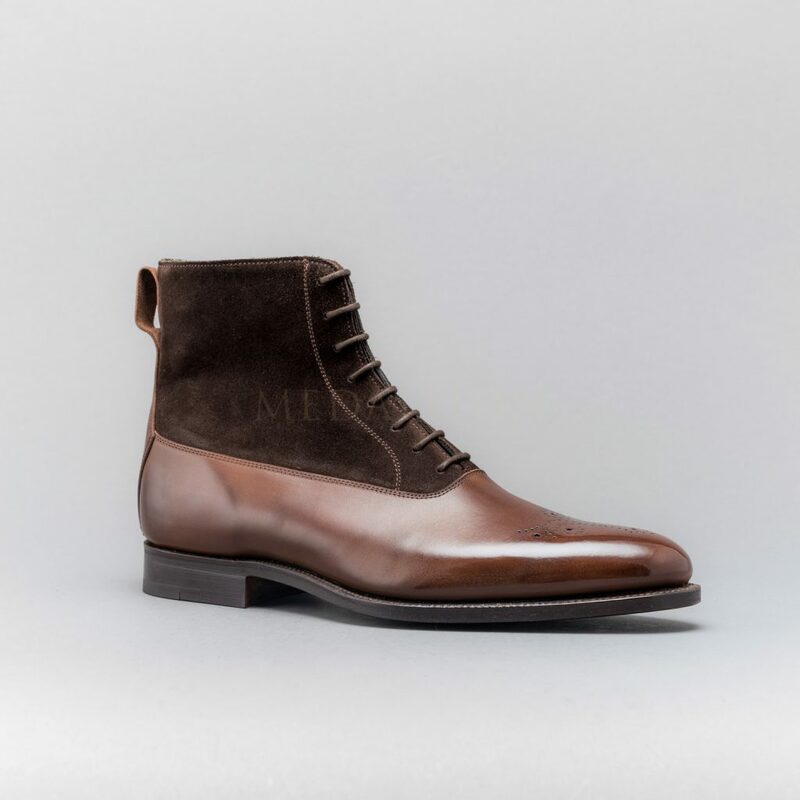 Our first model is a fine pair of Chukka boots designed by Carmina from Mallorca Spain. The pair was first designed during the second part of the eighteen century as a pair for the polo players to rest their feet because the riding boots would feel very stiff. The name originates from Cakkar meaning a circle in Sanskrit, an old Indic language from India, the term Chukka was used to describe the 4 circles of play time interrupted every 7 ½ minutes to change horses for fresh ones. This 3 eyelet pair of Chukka boots has a classic look in Marron – Tan colour and will pair wonderfully with your pairs of jeans of light flannel pants. Our second model is the Burnham Chelsea Boots from Gaziano Girling. With the development of vulcanized rubber, a new style was invented at the demand of Queen Victoria. J. Sparkes-Hall patented the elastic boots as he was seeking to create a footwear design that would spare you to buckle and unbuckle your boots. 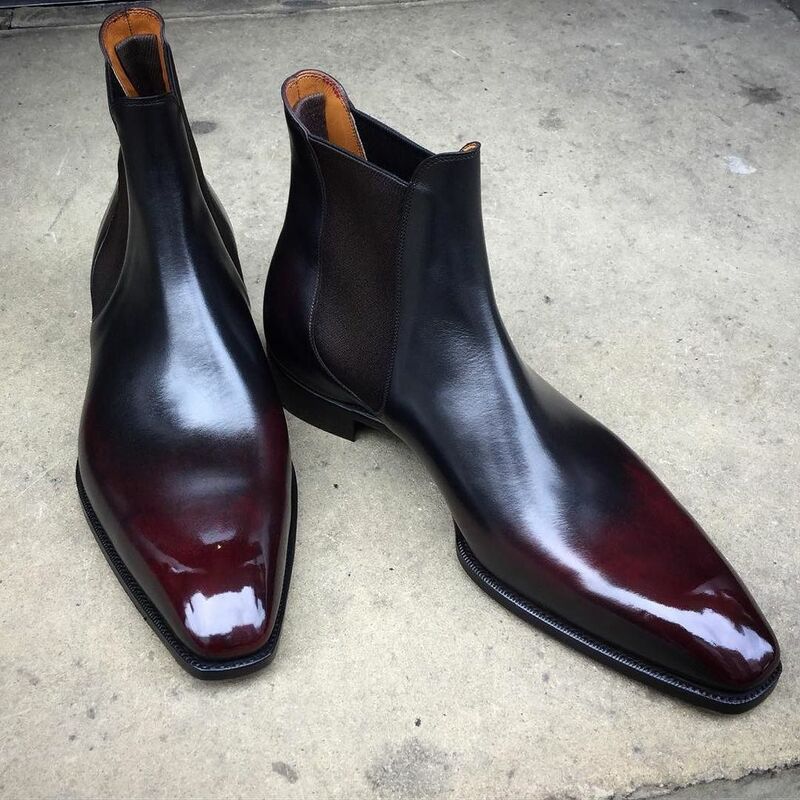 This splendid Chelsea boots in Vintage Rioja, (Rioja being a region in the North of Spain famous for its red wine) would pair as good with your fawn Cavalry twill pants and Hacking jackets for an equestrian look as with double breasted Prince of Wales check suits with wide lapels an hourglass shape in a 70’s spirit. The third model of this selection is again a classic Chukka boots made in an unusual colour by a famous independent Italian shoemaker, Riccardo Bestetti. The flamboyant wine red patina reminding the Autumn foliage would go well together with not only your Navy Blue suits but also Blue Denims. This model has been made on the Perfetta last which was modified at the special request of Medallion. This modified Last would be more suitable for Asian feet with its higher instep, added arch support and extended width. 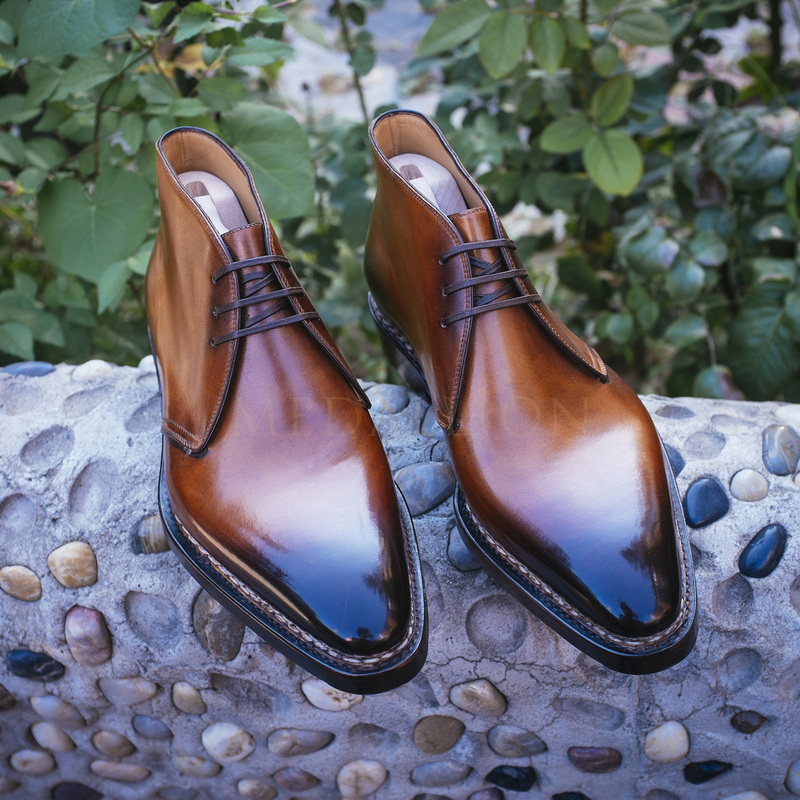 The fourth model, we would like to enlighten is the pair of Balmoral boots. As you may know the Balmoral boot was designed for Prince Albert as he was seeking for a pair of boots that would look as good on the field for shooting grouse as it would be when receiving in its Balmoral Scottish castle. This model with its plain front and quarters sewn on the same level with the upper is a perfect choice for a dressier boot. With its light coloured upper contrasting with Dark Brown suede inserts it would be a good match with mid grey or light flannel pants or mid grey suits. Finally, the last model of this selection is a pair of 3-eyelets Desert Boots revisited by the Italian bootmaker, Paolo Scarfora. Famous for its Norwegian Welted construction, the craftsman played to incorporate this construction into a model that is usually made with a lighter construction. This desert boots are actually a variant of the chukka boots we discussed earlier. The model became famous as the Desert boots was used by the British military forces engaged in Egypt and Libya during the Second World War. Although, the Norwegian-stitching emphasized by the plain sleek front and the Double Leather sole instead of a crepe sole instead of might feel uncommon on a Desert Boots, nevertheless this model with its construction and patina is completely imbued by the Neapolitan style.